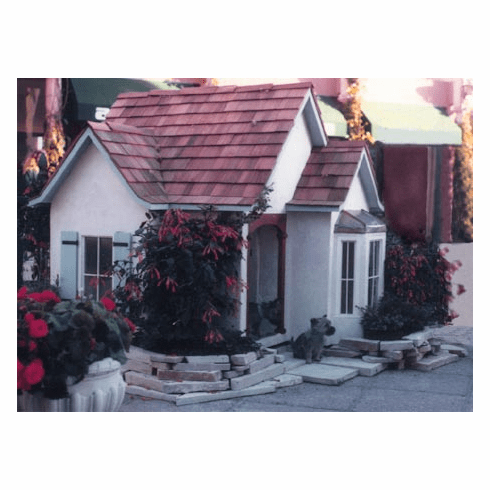 English Cottage Dog House - This luxurious celebrity dog house is custom made and considered one of a kind. Created by a world renowned artist and designer. Available amenities include running water, lighting, air conditioning and heat. The artist has created some of the most upscale dog houses in the world.